Star Wars Rebels, the Disney XD cartoon centered on a dysfunctional and diverse group that plays a major role in the formation of the Rebel Alliance, has always been considered by many to be the immature, Disney-fied younger brother of The Clone Wars. And though Rebels hasn't yet reached its predecessor's heights in terms of storytelling and fan base, the series has finally started to become relevant in its second season. For the record, the show has never been bad. It's always had strong characters and an intriguing story, along with the high-quality animation and lighthearted moments that made The Clone Wars truly great. The first half of Season 2 sported some serious Clone Wars connections, but the recently released mid-season trailer has some jaw-dropping scenes that prove Rebels is relevant enough to interest any Star Wars enthusiast, even those who only became fans after watching The Force Awakens. When audiences first met this feisty Togruta padawan in the 2008 Star Wars: The Clone Wars movie, they weren't too impressed. She was kinda annoying, and the idea of Anakin having a padawan seemed like a forced plot device. 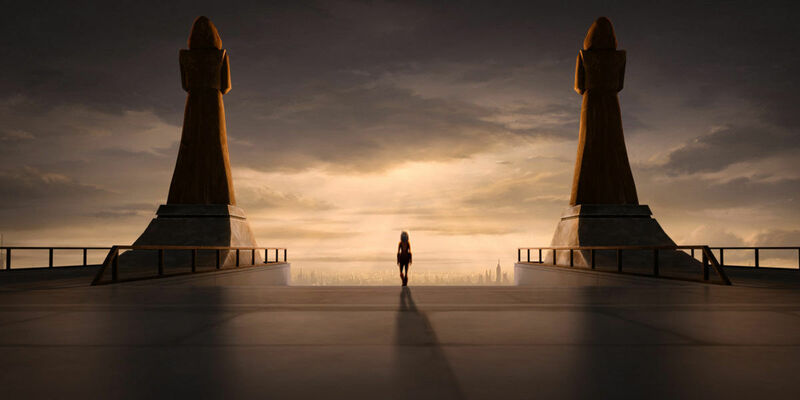 But over the course of the series, audiences grew to love Ahsoka and all of her wit, courage, and skill...so it was pretty heartbreaking to watch her leave the Jedi Order in the Season 5 finale, after the Council refused to believe that she had been framed for a heinous crime. Yeah, we all knew that she had to go sometime (since she obviously wasn't in Revenge of the Sith), but that didn't slow our tears as she slowly walked down those Temple steps, leaving behind her life as a Jedi. Anyway, to no one's surprise, the Season 1 finale of Rebels revealed that Fulcrum, a mysterious informant of the rebel team, was actually an adult Ahsoka. 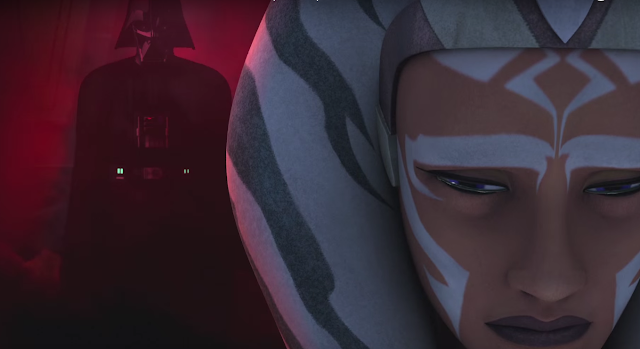 In the Season 2 premiere, "The Siege of Lothal", we got one of the most powerful moments of the series as Ahsoka reached out with the Force to Darth Vader, realized that he was actually her beloved ex-master, and promptly fainted in shock. It's great to see this fan-favorite character back in action (like when she dueled two Inquisitors in "The Future of the Force"), but her interactions with Vader will prove to create the most intriguing storylines. The mid-season trailer showed the two engaging in a super-emotional Force conference, with Vader asking Ahsoka in Anakin's (Matt Lanter's) voice, "Why did you leave?" 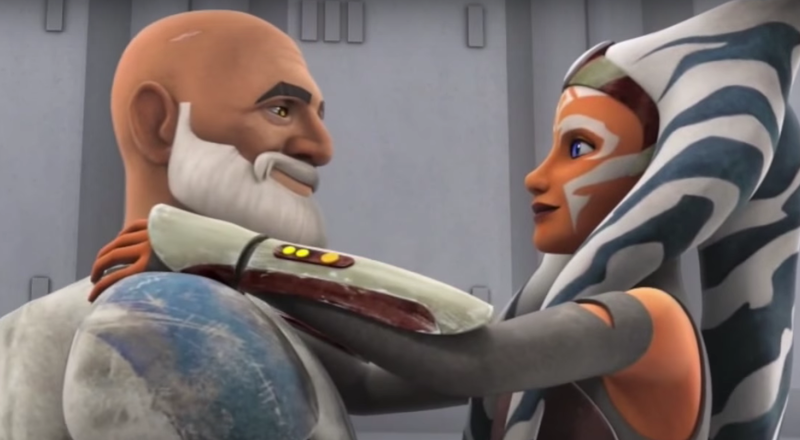 Their bond was one of the best things about The Clone Wars, so this is exactly the kind of closure that they – as well as the fans – needed. 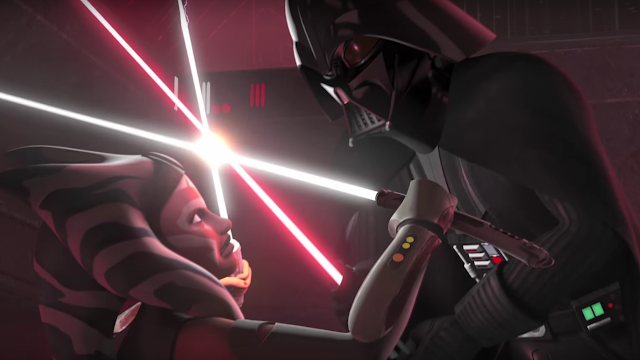 And then, of course, we saw a glimpse of the inevitable duel that we all knew was coming: Vader vs Ahsoka, Dark vs Light, Master vs Apprentice. She may have improved her already-impressive skills in the years since she left the Jedi Order, but Ahsoka stands no chance of winning. Let's just hope that she can retreat or escape before she gets killed. One of the other best things to come out of The Clone Wars? The series brilliantly humanized clone troopers, giving them unique personalities instead of the identical drones that we saw in the Prequels. Captain Rex was the standout, serving under Anakin and Ahsoka with infinite loyalty and courage. In the Rebels episode "The Lost Commanders", Ahsoka sent the team to find Rex and recruit him to their cause, along with a handful of other familiar clone faces. At the end of the episode, we got to see a truly heartwarming reunion of these old friends. Both had aged significantly, and they were fighting against a much different enemy, but once again Ahsoka and Rex were allies. Yet another of the best things to come out of The Clone Wars? 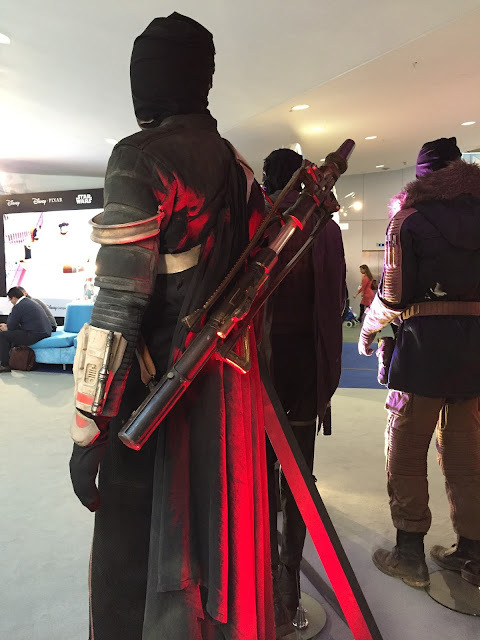 The return of Darth Maul, the villain of The Phantom Menace who infamously met his end too soon. With his bigger, even scarier brother Savage Opress, Maul went to great lengths to get revenge on Obi-Wan Kenobi. In a way, he succeeded by murdering Obi-Wan's love, Satine Kryze, in front of him. 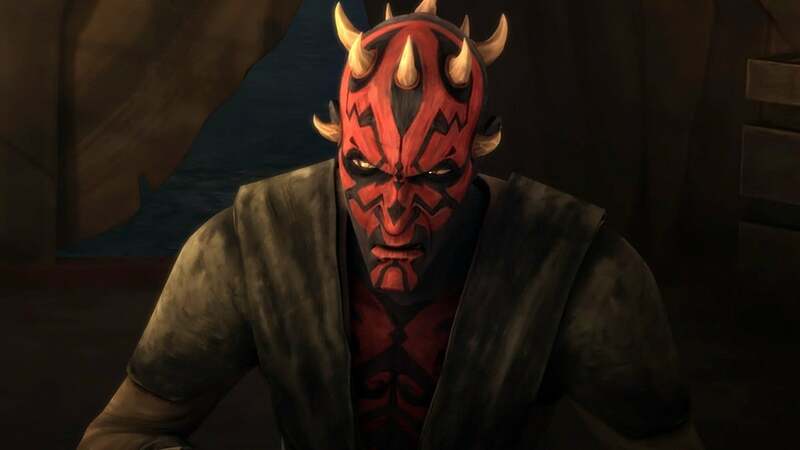 But Maul's actions caught the attention of Lord Sidious himself, and last we saw him (in TCW episode "The Lawless"), he was being mercilessly tortured by his former master. The Son of Dathomir comic continued his story arc, ending in a showdown between Sidious and Mother Talzin, Maul's witchy mother. Talzin lost, and Maul escaped with help from his Mandalorian super commandos, with his fate left uncertain. 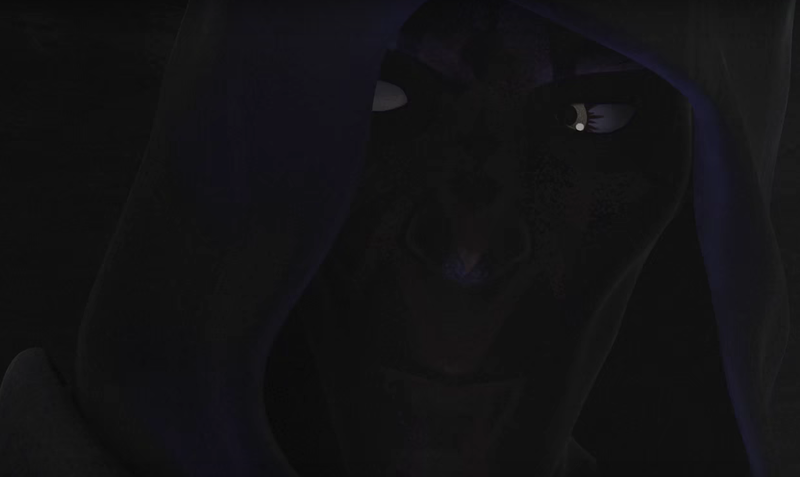 Rebels' mid-season trailer showed a hooded figure asking aspiring Jedi Ezra to call him "Old Master", and the familiar voice and dimly visible face tattoos made it pretty clear that Maul has returned once again. Aside from what this means for Ezra, it's awesome that Rebels is bringing Maul back, and continuing to give this shamefully underused character the screentime that he's always deserved. Of the many environments seen in the mid-season trailer, the most mysterious was a pyramid-like structure seemingly below the surface of a planet, with unknown symbols inscribed inside and around it. 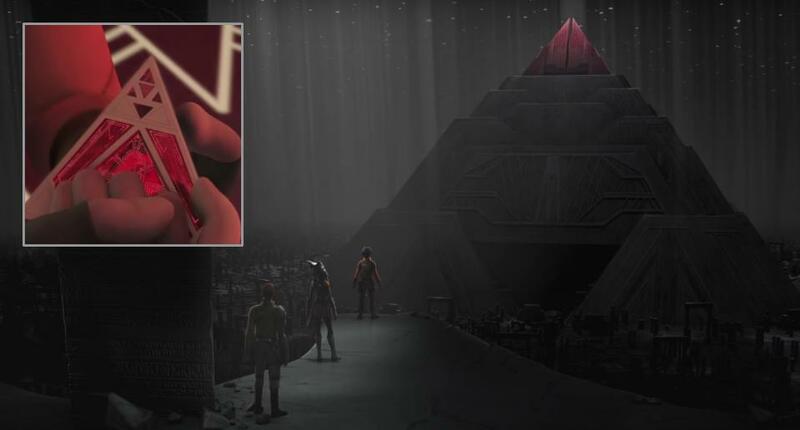 This is almost certainly a Sith Temple, and the smaller pyramid-like object briefly seen held by Ezra is a Sith holocron (opposed to the cubic Jedi holocrons). 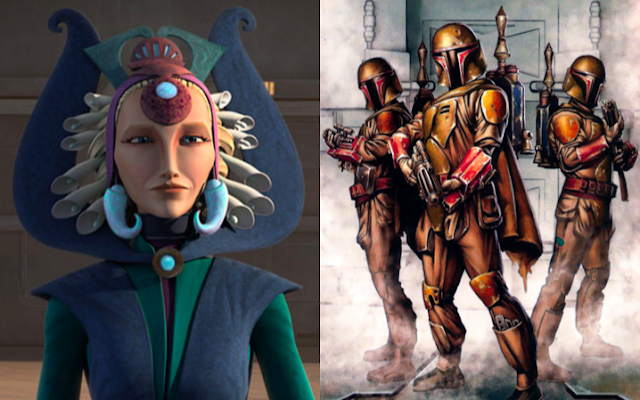 Both of these suggest that Rebels will explore the ancient history of the Sith, which has only been briefly glimpsed before in the Star Wars canon, in the series finale of The Clone Wars. Unless a film (or a trilogy) is made in the Old Republic era (which is quite possible), chances are that the cinematic installments will stick to the time period that we're already familiar with, and Rebels may be our only opportunity to see the origins of the galaxy's greatest evil. 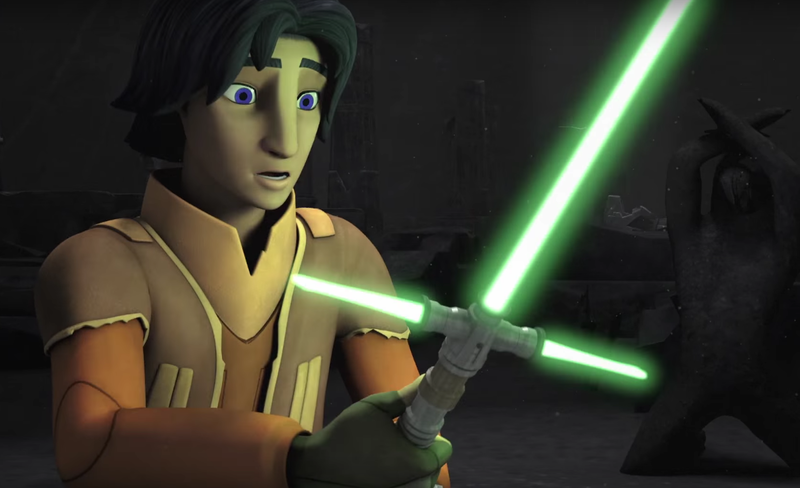 Perhaps the most shocking moment of the trailer was when we saw Ezra igniting a green crossguard lightsaber, much like the one wielded by Kylo Ren in The Force Awakens, only with a more stable blade. 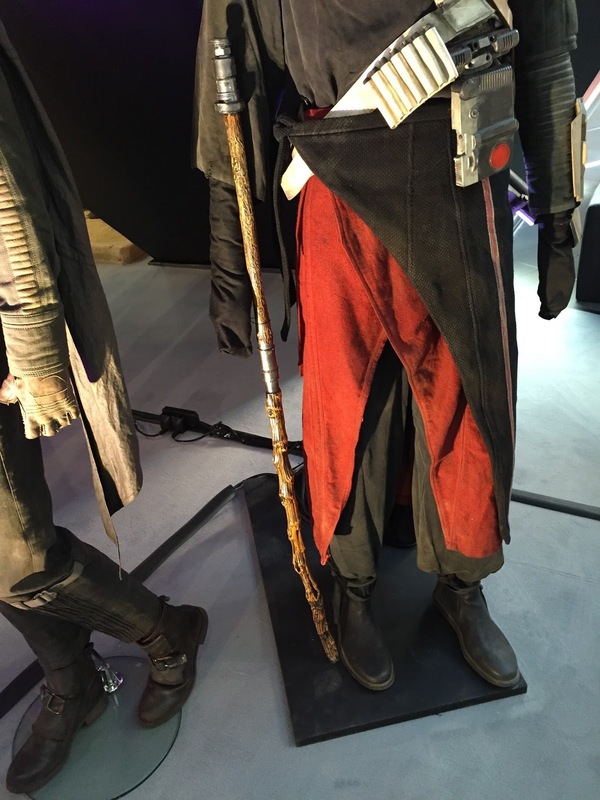 We know that Kylo's homemade lightsaber is based on an ancient design, so it would make sense that Ezra would find one of these lying around in the Sith temple, but it's unclear why the lightsaber is green instead of the traditional red. Whether or not we get the full scoop about the origins of the design, this indicates a huge connection between Rebels and the new Sequel Trilogy. Do you think Rebels is worth watching for any Star Wars fan? Tell me in the comments, and may the Force be with you all. 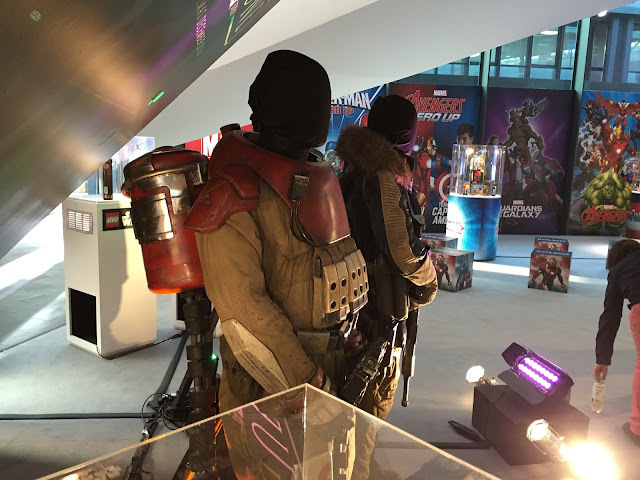 While there's still no confirmation of who Felicity Jones, Diego Luna, Donnie Yen, Alan Tudyk, Mads Mikkelsen, Forest Whitaker, and others will be playing, these costumes give us a fairly in-depth glimpse at the blasters and assorted equipment they'll be using. Which costume interests you the most? Tell me in the comments, and may the Force be with you all. 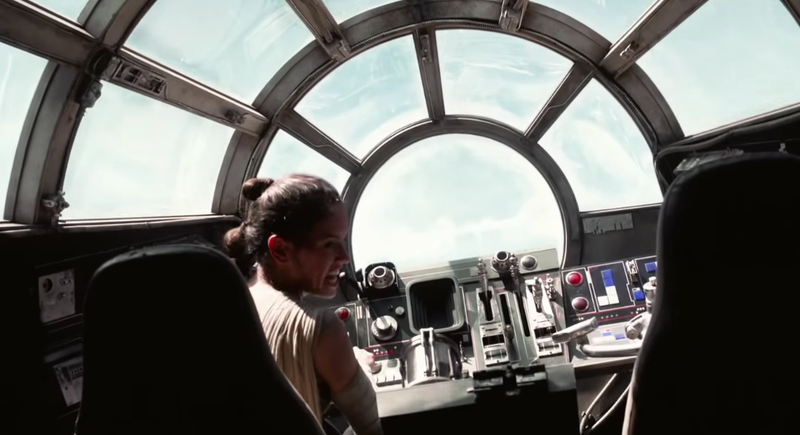 The Force Awakens left many questions unanswered, and through the chaos of Internet debates and fan theories, there was a silver lining: Episode VIII would be coming in May 26, 2017, in less than a year and a half from The Force Awakens's release. Now we can scratch that: Disney and Lucasfilm announced today that Episode VIII will instead be released on December 15, 2017. Disney's other major release of that summer, Pirates of the Caribbean: Dead Men Tell No Tales, has been moved to the May release date. Most of the major characters from The Force Awakens will be returning (except for Han Solo, probably). Oscar winner Benicio Del Toro confirmed in September that he will be playing a villain in the film, though it's unknown how he will be related to Kylo, Snoke, and the rest of the First Order. Additionally, Tatiana Maslany, Gina Rodriguez, Olivia Cooke, Gugu Mbatha-Raw, and Bel Powley have all been rumored to be in contention for at least one new female role. If there's one thing to be thankful for, it's that the two years between Episodes VII and VIII is still less than the usual 3 years between Star Wars movies. 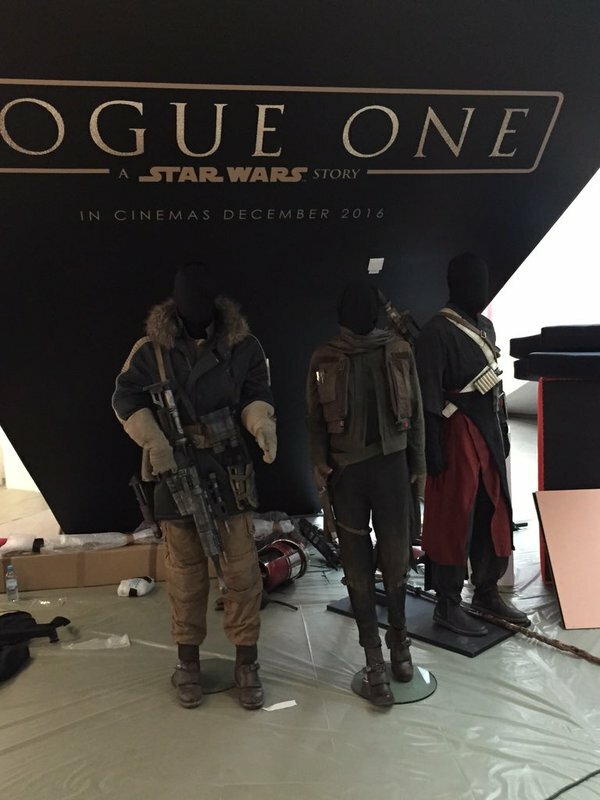 And Rogue One: A Star Wars Story is coming in December 2016, which isn't as exciting but still something a little sooner to look forward to. May the Force be with you all. Star Wars: The Force Awakens left quite a few lingering questions, but the biggest by far was, who are Rey's parents? She was heavily rumored to be Kylo Ren's twin sister and the daughter of Han and Leia, and though Kylo was explicitly stated to be their child, Rey's parentage was left open-ended...and highly debatable. I'm taking a look at the most popular possibilities and weighing their likelihood. She demonstrates extreme Force sensitivity, from Obi-Wan? Though love is forbidden for Jedi, Kenobi had a romance with Duchess Satine Kryze of Mandalore in Star Wars: The Clone Wars (which is completely canon, FYI). This connection could make Rey an heir to the throne of Mandalore, which could lead to the official cinematic introduction of the fan-favorite warriors known as the Mandalorians. 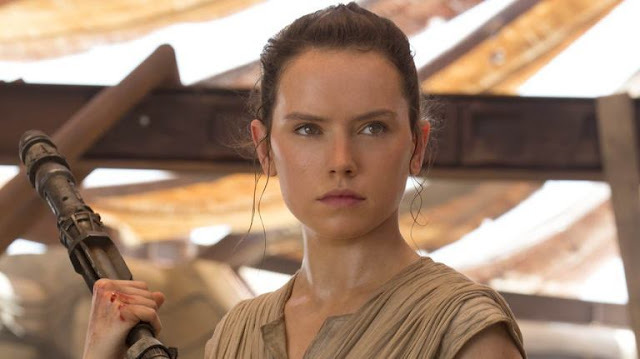 While John Boyega uses an American accent as Finn, Daisy Ridley keeps her British accent as Rey, just like Ewan McGregor and Alec Guinness as Obi-Wan/Ben Kenobi. 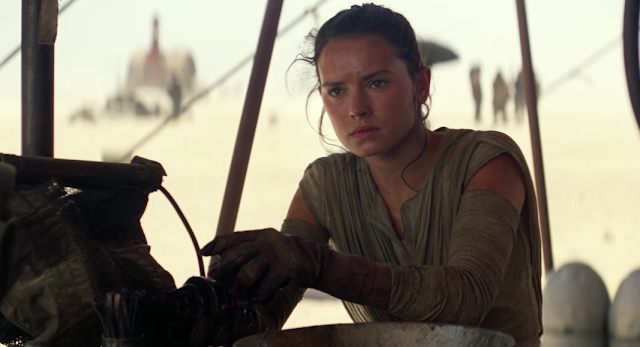 During Rey's vision, a combination of McGregor's and Guinness' voices say "Rey, these are your first steps." She (hilariously) uses the Jedi mind trick, which Kenobi first introduced in A New Hope. After escaping from Kylo's clutches, she sneaks around the Starkiller just like Kenobi in the Death Star in A New Hope. The Skywalker lightsaber would still call to her, since the inner kyber crystal bonds to its owner, and Obi-Wan held onto the lightsaber for almost 20 years between Revenge of the Sith and A New Hope. 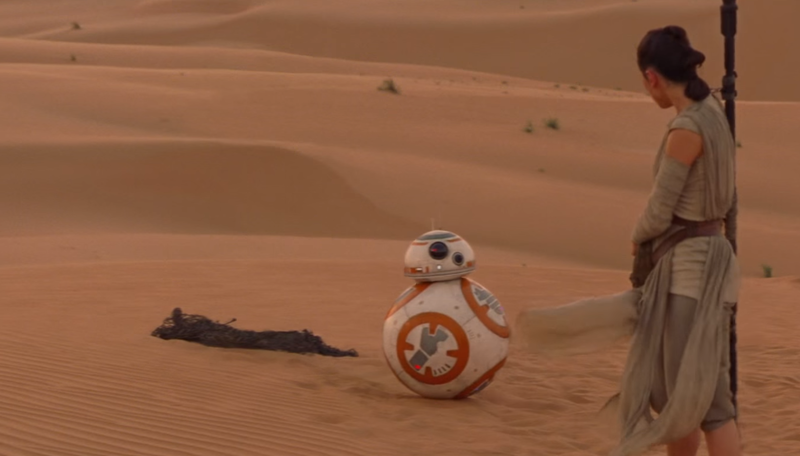 Her tan desert garb is reminiscent of the robes that Obi-Wan wore. Obi-Wan and Satine clearly loved each other, but they were always too busy avoiding assassins and whatnot to physically act on their love. And it seems unlikely that Satine would have birthed their child in secret. It's quite possible that Ridley kept her accent just because it was easier for her, and/or JJ Abrams thought it sounded more natural. If Rey was instead a Skywalker, or even if she was unrelated to anyone important, Kenobi's ghost would still probably communicate with her because she represents the next generation of Jedi. The filmmakers have confirmed that the new trilogy is about the next generation of Skywalkers; Kylo can't be the only one, so Rey seems like the best bet as a sister or cousin. She demonstrates extreme Force sensitivity, from Leia and Anakin by extension? She demonstrates extreme piloting skills, from both Han's and Leia's sides of the family? When Rey first enters the Millennium Falcon, she seems to know it backwards and forwards and pilots it with expertise. She later co-pilots the ship with Han and even finishes his sentences as he explains the various technical details. Kylo seems to know who Rey is before they even meet. When Kylo probes her mind, he sees that she feels like Han Solo is the father she never had, and he taunts her, saying that Han would have only disappointed her. When Rey arrives on the Resistance base, Leia wordlessly approaches and embraces her. Lucasfilm president Kathleen Kennedy has said that there "could" be more twins in the Skywalker family; Rey could be Kylo's twin. Han and Leia would have naturally mentioned their daughter on Jakku while woefully discussing their estranged son's turn to the Dark Side. Leia would still hug Rey if she was her niece, rather than her daughter. 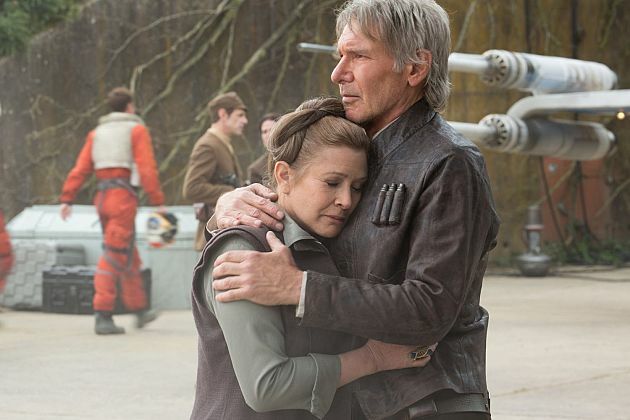 In fact, after presumably hearing about Rey from Han and Finn, and having some idea of the ordeal Rey had just gone through, Leia would probably have hugged her no matter their familial connection or lack thereof. She demonstrates extreme Force sensitivity, from Luke? Though love is forbidden for Jedi, in the Expanded Universe, Luke marries Mara Jade and has a son, Ben Skywalker, with her. Regardless of Jade's inclusion in the new canon, Luke wouldn't necessarily have to follow the old Jedi rules against romantic relationships. 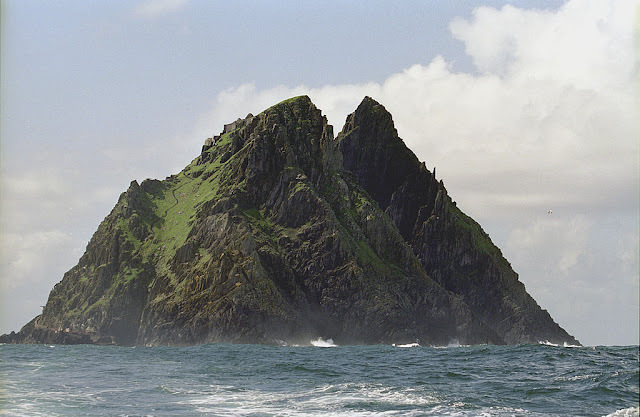 When Kylo probes her mind, he sees that she dreams of an ocean planet with a lone island, which exactly matches the planet Luke is on at the end of the film. She demonstrates extreme piloting skills, passed down from Anakin to Luke to her? Her entire character arc is reminiscent of Luke's: young desert dweller meets astromech droid with valuable information, embarks on a journey with a ragtag group of friends to destroy a planet-destroying superweapon, uses the Force to win the climactic battle. 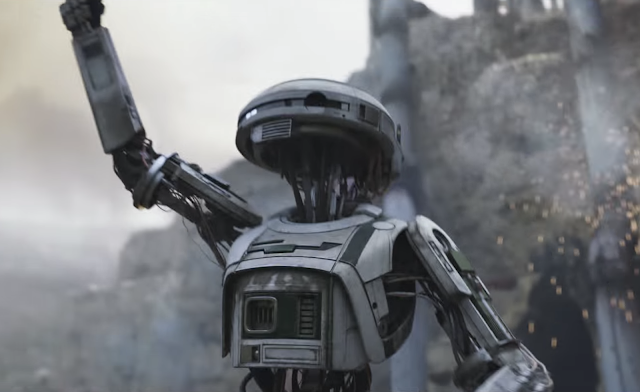 When she arrives on the Resistance base, R2-D2 spontaneously awakes after spending decades in low power mode due to Luke's absence. Did he somehow detect the presence of his master's daughter? 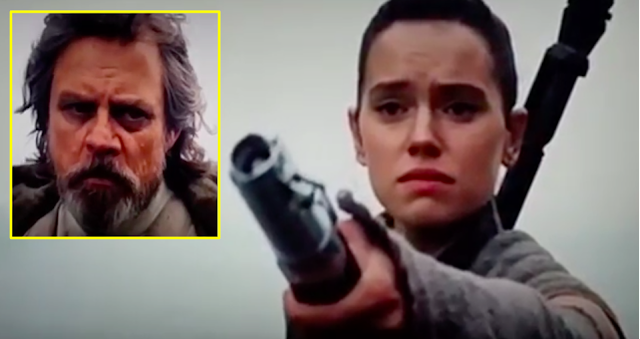 The final scene of the film (Rey offering the lightsaber to Luke with a pleading look in her eyes) would be most meaningful if she was his daughter. Since Luke is the only other Jedi in the galaxy, and he's at the first Jedi temple, it's possible that Rey would still dream of his location even if she wasn't his daughter. All of this explicit evidence that she's Luke's daughter, rather than the more subtle evidence that she's a Kenobi, could indicate an attempt by the filmmakers to throw us in the wrong direction. This twist would be unexpected and set up Rey as a fresh, new character, who owes their Force-wielding, Falcon-flying awesomeness to themselves, not their genes. This would also be a huge letdown for much of the audience. Rey's past, present, and future relationships with Luke, Leia, Han, Kylo, and more would be significantly less meaningful, as well as every choice she takes on her path to becoming a Jedi. If there's one thing to take away from this, it's that someone really wants us to be confused. They knew that this would be one of the most debated topics after the film's release, so they sprinkled in about a dozen pieces of conflicting evidence. She talks like Obi-Wan, she looks like Padmé, she duels like Palpatine, and she dreams about Luke. Did some mad scientist just take the DNA of all the coolest people in the galaxy and splice it into one girl? One thing's for sure, the truth will be revealed sometime soon, hopefully in Episode VIII. Who do you think are Rey's ancestors? Tell me in the comments, and may the Force be with you. The StarWars.com databank is one of the Internet's greatest sources of documented Star Wars information about various characters, technology, locations, and more throughout the saga. Most of its recent entries for The Force Awakens provide some kind of deeper knowledge of the film, but a few contain significant details that weren't divulged in the mere 136 minutes (which is fairly short for a movie of such magnitude). It was never mentioned, but this is the name of the First Order's Star Destroyer, featured most prominently during Finn and Poe's escape, during which they take out its lasers before being shot down by the ventral cannons. 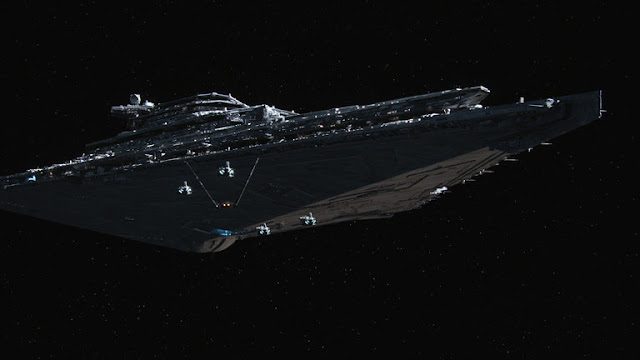 The powerful flagship shared by General Hux and Kylo Ren, the dagger-shaped Finalizer is nearly twice the length of an Imperial-era Star Destroyer. The first of the new Resurgent class constructed in violation of treaties with the New Republic, the Finalizer’s heavy weapons are augmented by two starfighter wings, a hundred assault craft and a full legion of stormtroopers. Her turbolasers are more powerful and faster to recharge than Imperial-era weapons, a product of kyber crystals harvested in the Unknown Regions. This seems to confirm that this is the First Order's one and only Star Destroyer (I guess they blew all their budget on the Starkiller). Kyber crystals are a rare, vital ingredient in the creation of lightsabers. Not only are they responsible for the lightsabers' coloring, the crystals themselves are Force-attuned, meaning they develop a connection with their owner. The First Order must have gone to extreme lengths to find the larger, even rarer crystals, traditionally used by the Sith in their superweapons. 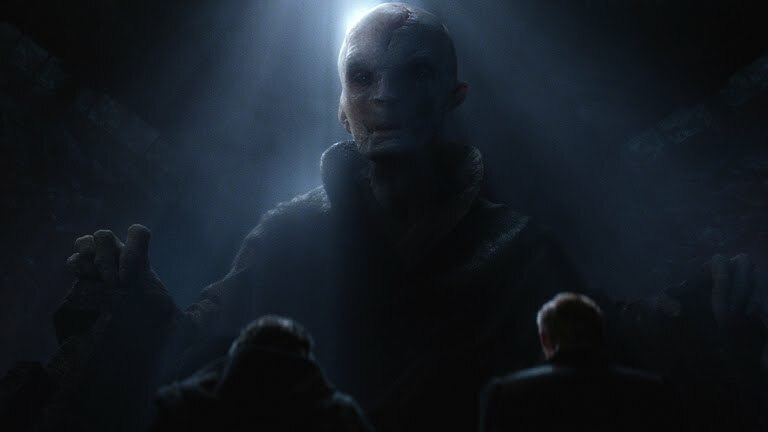 The Supreme Leader of the First Order, the mysterious Snoke has no permanent base of operations, preferring to contact his underlings from a mobile command post. 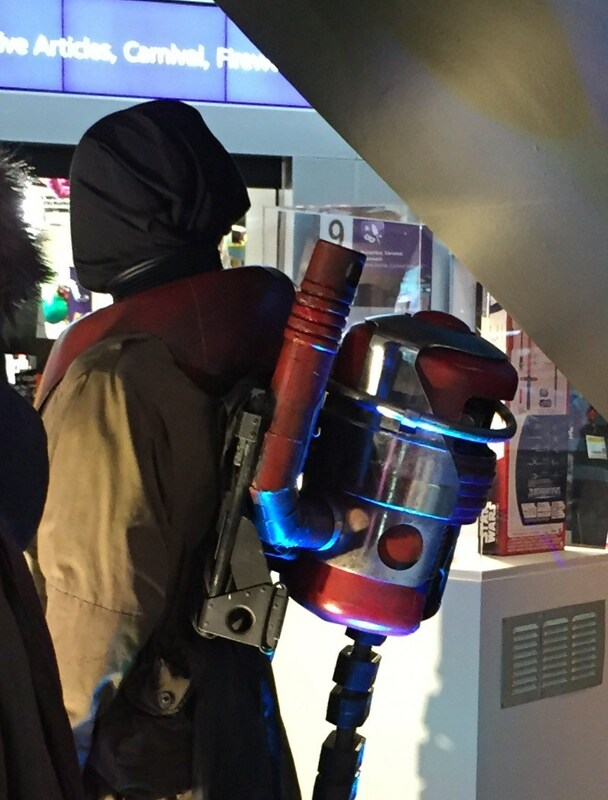 No, we still don't know where he is (or who he is), but this is still a pretty interesting detail. 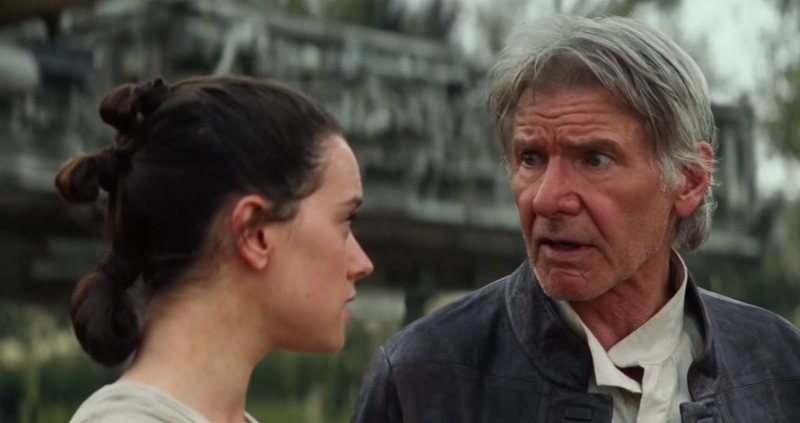 If Luke and Rey plan on eventually killing Snoke, it won't be easy to track him down first. 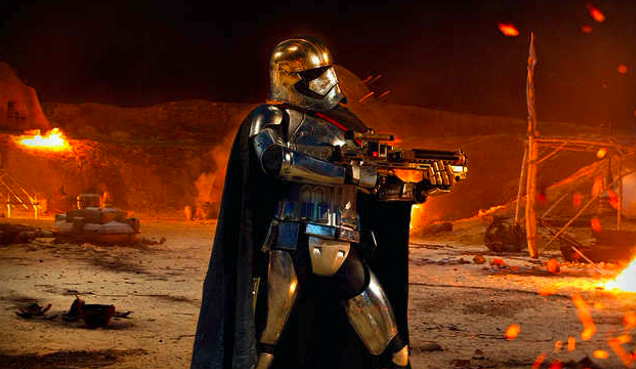 Further proof that this chrome-clad stormtrooper was underused: her two-paragraph description gives her more characterization than the entire film. 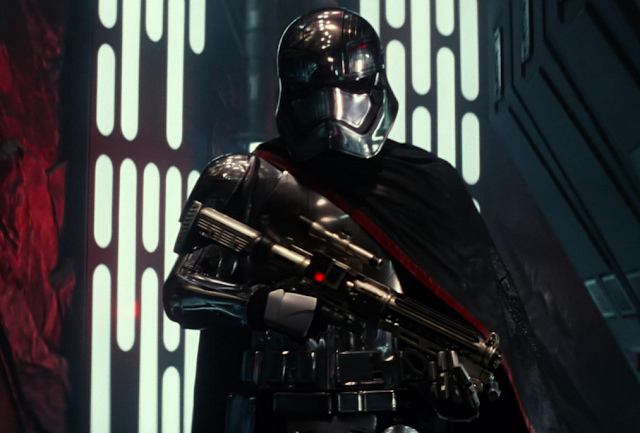 A tough veteran commander, she has no use for fancy titles or complex war rooms, preferring to lead her troops in battle against the First Order’s enemies...Phasma served as one of the First Order’s commanding triumvirate, though she sometimes clashed with both the technocratic General Hux and the mysterious Kylo Ren. She worked tirelessly to make the First Order’s stormtroopers the galaxy’s finest soldiers, searching for any sign of weakness or disobedience in the ranks. How exactly is she a "veteran"? She's too young to have fought in the Galactic Civil War or the Clone Wars, and it seems like the First Order had kept a fairly low profile before using the Starkiller to wipe out the New Republic in a single strike. The term "triumvirate" is ancient Roman, and it basically means that she has just as much power and authority as Kylo and Hux. I'm officially labelling Snoke a sexist for not inviting her to their regular chats. 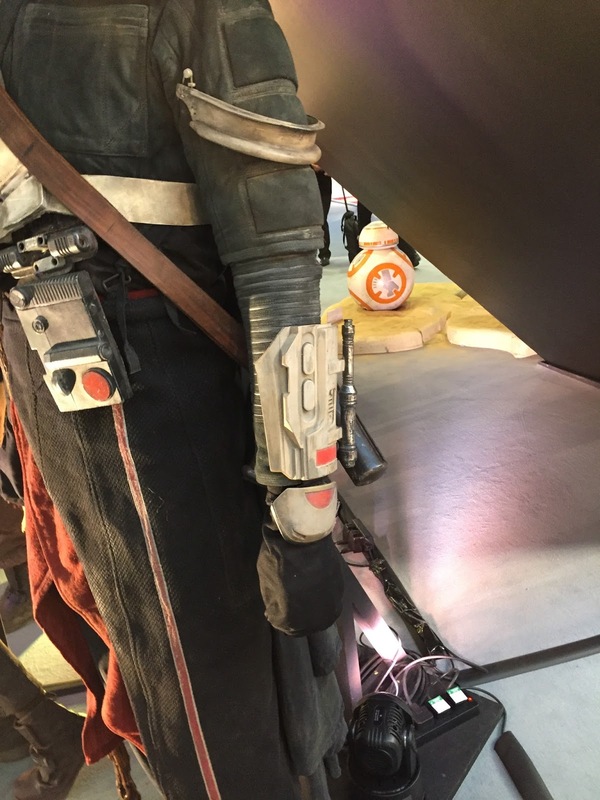 This suggests that Kylo and Hux's power-vying rivalry extended to Phasma as well. Could there have been some deleted scenes that showed this? 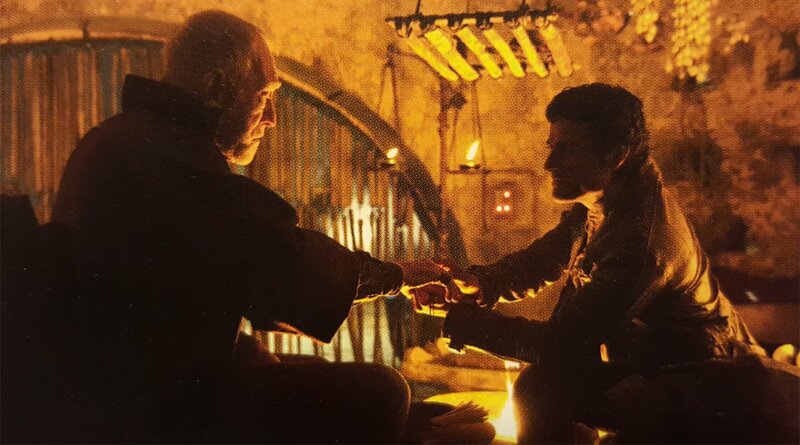 As it turns out, this ill-fated village elder isn't supposed to be someone familiar from the past Star Wars canon. It's fitting that Max von Sydow can play a character as legendary as himself. So now we get a better idea of how San Tekka got ahold of that map to the first Jedi temple where Luke is at the end of the movie, but this still doesn't explain why he held onto it for so long. Church of the Force? A whole religion of Force-insensitive people who worship it? This sounds like a really interesting concept that will probably get 0 minutes of screen time. 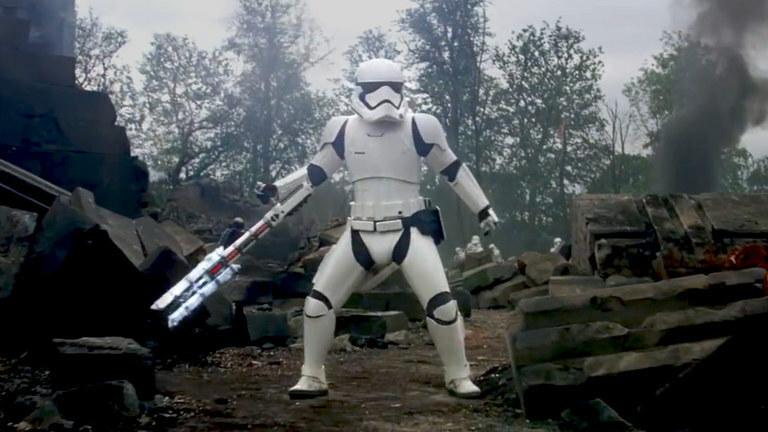 I wonder if the filmmakers ever suspected that this uniquely competent stormtrooper would gain Internet fame, and even be renamed "TR-8R" for his now-iconic line "Traitor!" that he shouts at Finn before dueling him. Stormtrooper units assigned to keep order on worlds within First Order territory are trained in riot-control tactics and given non-lethal equipment – though all carry standard weapons in case situations spiral out of control. Riot control stormtroopers use betaplast shields and Z6 batons to keep crowds at bay or to shock or pummel an opponent. Still doesn't explain where he learned those sick spins. 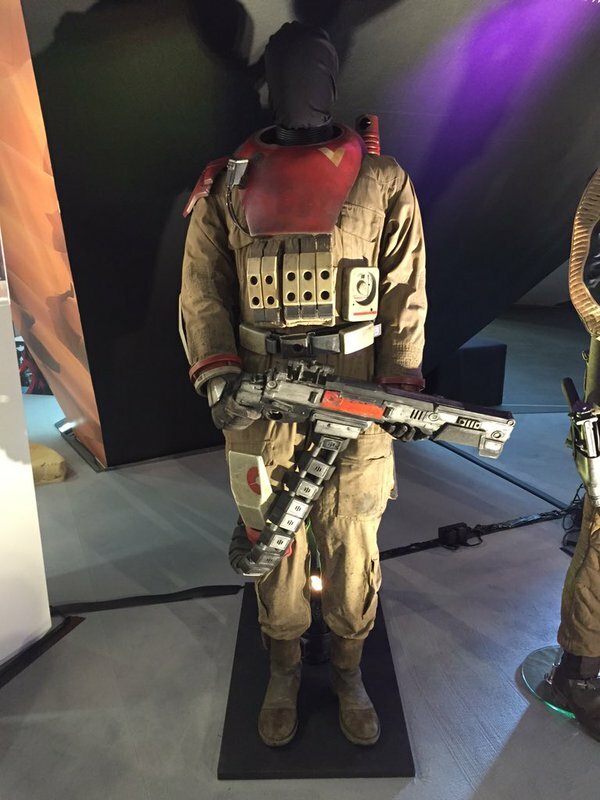 For more information on the characters, creatures, and technology of The Force Awakens, as well as the rest of the Star Wars universe, visit the StarWars.com databank. May the Force be with you all.